You know the feeling. While walking down the street, you pull out your iPod, stick in your earbuds, start up your favorite song and shooooom: You’re magically transported through a spinning vortex of sound to the exact time and place where the tune first floated through your brain. To Erykah Badu—who is not only an inventive, ground-breaking, Grammy-winning musician, but also a healer—this phenomenon is more than just uncanny, it’s integral to humans’ well-being, and only one example of the power of music. With her vast knowledge of spiritual healing and, specifically, how sound vibrations can effect change in the human body, Badu is like that guru you’d meet after climbing to the peak of a mountain to reach enlightenment. After all, it’s not often that during an interview, a musician teaches me the correct way to breathe: “breathing in through the nose as the stomach fills up with air, and blowing it out the mouth so the stomach deflates,” she says. Badu’s simultaneously ethereal yet grounded, like an earthbound deity who’s accepted her fate to renounce immortality and guide humanity. Her feet are firmly earthbound as she answers interview questions with her trademark humor and honesty, but her mind seems to be elevated in a higher plane. And as such a free, eccentric spirit, there’s no label that could possible contain her. With her sultry voice, Badu—born Erica Abi Wright in 1971 in Dallas, Texas—has been a performer since age 4 and is known as the “Queen of Neo-Soul,” a genre that combines 1970s-style soul with elements of jazz, hip-hop and R&B. But she refuses to categorize her unique music, even after creating five studio albums—from her debut, 1997’s Baduizm, to her latest, 2010’s New Amerykah Part Two: Return of the Ankh. But the role of musician is only one of Badu’s many facets. She describes herself as a “mother first”—she has three children—and she’s also a doula and midwife-in-training who assists women in childbirth, a vegan, a third-degree Reiki master and teacher, activist, counselor and holistic-health practitioner. As an esoteric healer, she “uses the energy around in the atmosphere to connect to people or to heal,” often through her music itself, with the use of singing bowls, gemstones and, especially, tuning forks. 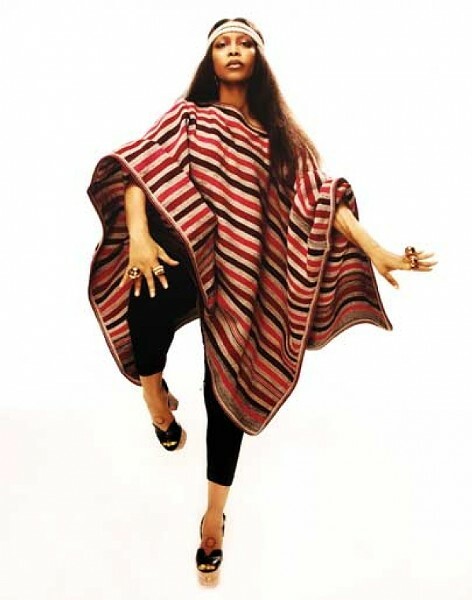 “I work with tuning forks and frequencies of numbers, which deal with weight,” Badu says. “The weight of a certain cell in your body, when matched with the same of amount of hertz in a tuning fork ... can actually cancel out the disease or illness, depending on the degree of it.” So, if, when experiencing Badu’s music either live or on a recording, you start to feel more at peace, it’s no coincidence; you’re literally being healed as you listen. “As a healer, I find it very natural to commune those two things: my healing art and my music,” she says. Thursday, Aug. 8, 7 p.m.